The IoT Security Foundation (IoTSF) acknowledged the significant achievements of multiple working group members at its 4th Annual Conference, London and Certificates of Appreciation were presented by IoTSF’s Managing Director, John Moor, and Head of Membership Development, Jenny Devoy. John Moor said “Cybersecurity is a critical requirement and primary enabler for all IoT applications. Yet there are many enemies of security including inconvenience, cost and the complexity of application. Our champions have dedicated themselves to helping overcome these challenges by providing practical tools and guidance that is easy to access and simple to use. We are therefore delighted to say thank you to them, on behalf of the Foundation, but also on behalf of all our ‘users and customers’, and society in general as their efforts help protect us all”. 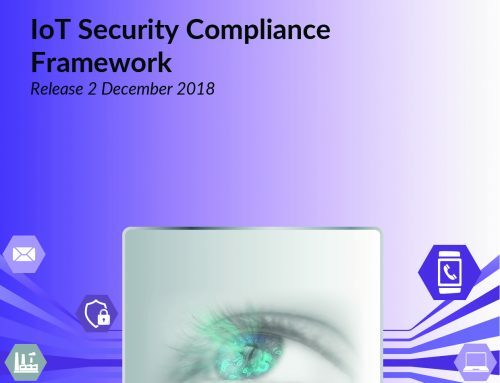 Jenny Devoy added “Our members have contributed a considerable amount of effort and expertise to our IoT Security working group projects which cover a number of themes including Best Practice Guides, Smart Buildings, Consumer Products, Compliance & Test, IoT Architectures and Policies, Vulnerability Disclosure, and Trust Marks. They not only bring considerable expertise, but they are also a pleasure to work with – thank you champions!”. If you’d like to nominate a member for their individual or group contribution for future recognition, we’d like to hear from you – click the link below.